Cable lacing comes in pretty handy for bundling up wires, and its commonly found on industrial sites and even specialized manufacturing. Sometimes this wire dressing is made with special materials to withstand the conditions they will encounter. For example, Braided Nomex Lacing Tape is a flame-retardant product, made for jobs and careers wherein there are open flames and high temperature conditions. The non-flammability and extreme temperature performance of nomex lace knitting is ideal for situations where open flame is a risk. Nomex Lacing endures heats up to 500F and will not melt before reaching a temperature of 700F. Additionally, this cable lace is highly resistant to fluids and lubricant exposure. 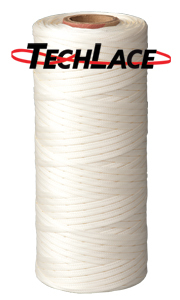 Braided Nomex Lacing Tape is available with or without a synthetic rubber finish.